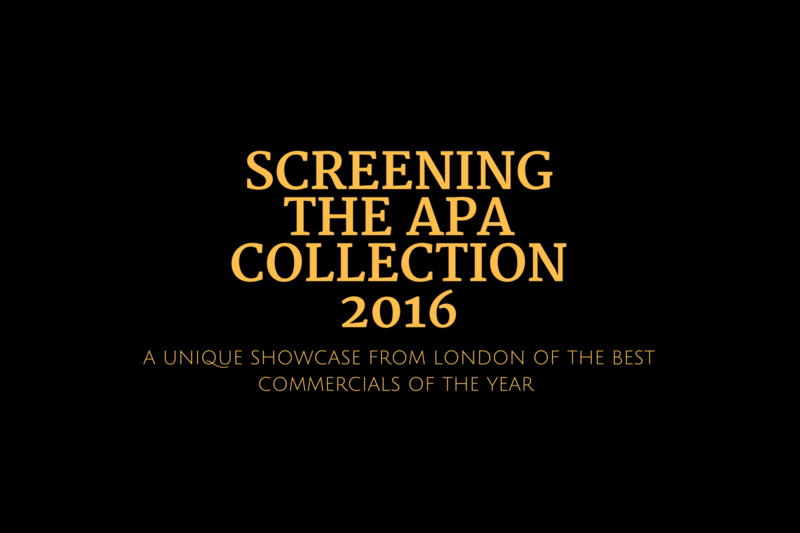 Last Thursday saw the APA Collection 2016 make its way over to Amsterdam to share the UK’s top commercial work with an audience made up of the Dutch advertising, marketing and production industries. Every year the collection is well-travelled, screening to audiences across the world; Russia and China so far this year to name a few. For 2016 the APA decided it was time to add Amsterdam to the list, acknowledging the city’s importance as the centre for pan-national advertising in continental Europe. With over 150 Dutch guests present and a large amount of British member companies flying over for the event too, the evening proved a success. Some of our members already have strong relationships with companies out there, and with the introduction of the APA Collection screening, the event proved fruitful in creating opportunities for them as well as those new to the market to build links further through organising meetings with agencies around the day of the event and then showcasing further British talent through the collection screening. Aside from the screening itself, MPC provided VR experiences, which allowed the guests to get hands-on with some of the work being produced in the UK – in this case literally as users were able to stroke the foxes, badger and hedgehog from John Lewis’s #BustertheBoxer Christmas ad, as well as encouraging all sorts of trampoline gymnastics. A huge thank you to all of the British companies that came out to support the event, and to Shots, Source Creative, Artbox and Finch Factor for helping to spread the word. Also thanks to UKTI, whose involvement with the event and continued support of APA’s aim to spread the word internationally on the work our members make, is deeply appreciated.